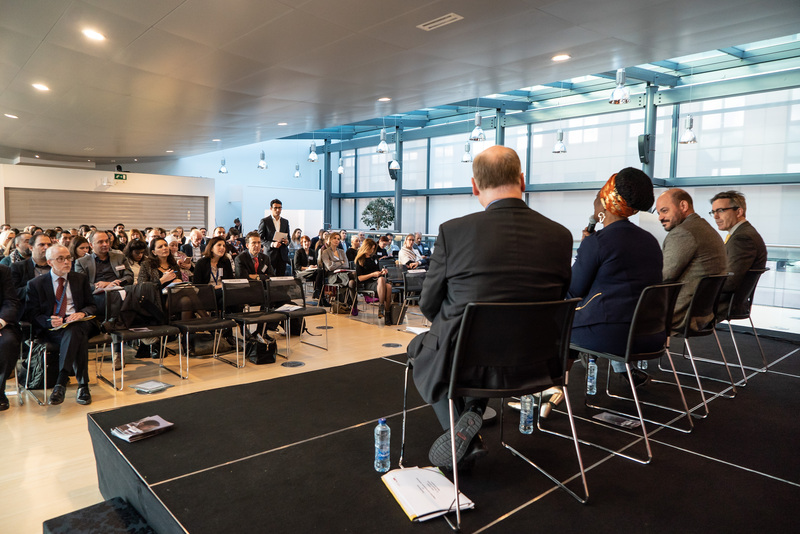 The Urban Agenda for the EU Partnership on the Inclusion of Migrants and Refugees invited to a special event in December 2018 in Brussels. 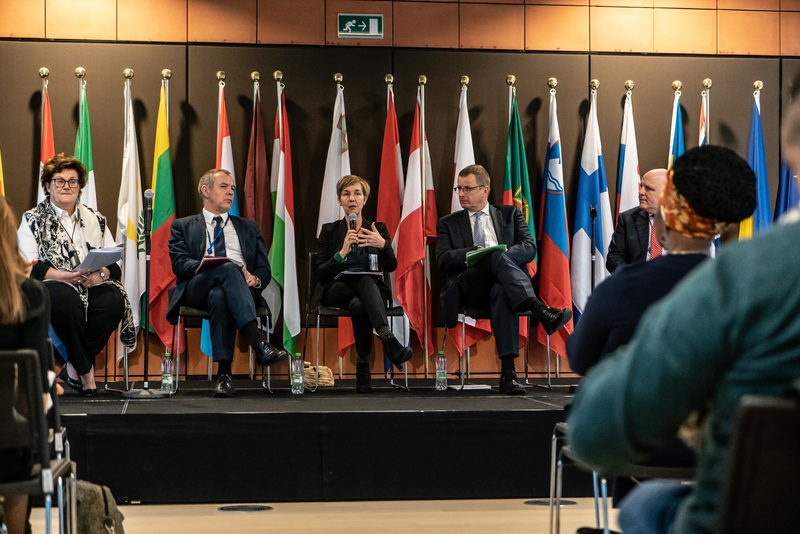 Together with the Committee of the Regions, the Partnership organised a conference to discuss the main achievements of around three years of joint work. More importantly, the event provided an opportunity to look ahead and discuss the implementation pathways for the Partnership’s proposed Actions. Read more about the Actions here. The full Action Plan is available for download in the Library section. The Committee of the Regions’ President Karl-Heinz Lambertz and Dimitris Avramopoulos, Commissioner for Migration, Home Affairs and Citizenship, opened the conference. They highlighted the inspiring results of the Partnership and the high potential of the Urban Agenda for the EU as an initiative contributing to mutual learning on complex social phenomena. What followed was a very lively panel discussion between Councellor Asher Craig (Bristol deputy mayor), Olivier Onidi (Deputy Director General, DG HOME), Lefteris Papagiannakis (Vice-Mayor, Athens), and Gerry Woop (Permanent Secretary for EU Affairs, Berlin). They praised the Urban Agenda for the EU and in particular the concrete successes of the Inclusion Partnership, but also reflected on remaining challenges in bringing about better integration policies within multi-level governance structures. The afternoon was devoted to thematic breakout sessions centred on the individual Actions. Among others, the European Migrant Advisory Board members presented the "Ask the People" consultation results they had carried out and put them up for discussion in small working groups. Besides this, the participants got the chance to hear more about the Actions on migrant children integration, microfinance and blending, the Urban Academy on Integration, better data, and integration funding. A second panel, bringing together Anna Lisa Boni (Secretary General EUROCITIES), Michael Collins (Deputy Director Committee of the Regions), Wallis Goelen Vandenbrock (Head of Unit on Inclusive Growth, Urban and Territorial Development, DG REGIO), and Frédéric Vallier (Secretary General Council of European Municipalities and Regions), closed the day with a discussion on the future of the cooperation between the local and EU level. Want to know more? Read about earlier meetings and conferences on the Partnership website. For further questions on the Partnership or on any of the Actions, please contact one of the Coordinators, Sabina Kekic (city of Amsterdam, s.kekic@amsterdam.nl), directly or get in touch with the Urban Agenda for the EU Communications Team (UA.communication@ecorys.com).